Amazon Simple Storage Service or S3 is a very reliable online storage created for all types of contents. The stored files can be retrieved any time from your S3 bucket. You can store unlimited number of contents with file size of up to 5 terabytes each. You can use Elastic Cloud Gate portal for easier access and exploration of your S3 Buckets. 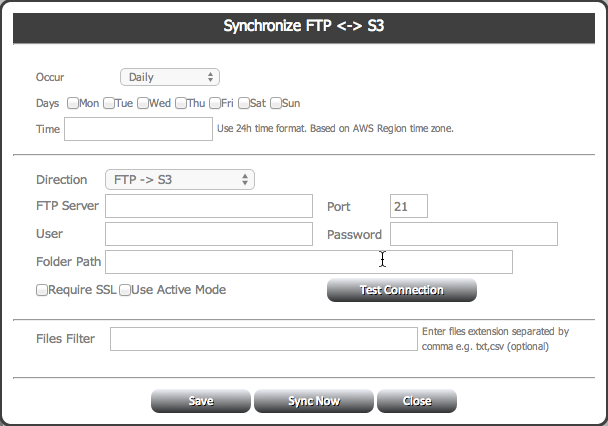 Elastic Cloud Gate can synchronize files between S3 Bucket and FTP server either On-Demand or based on hourly, daily or monthly schedule. You can filter out files that you want to synchronize based on the extension. 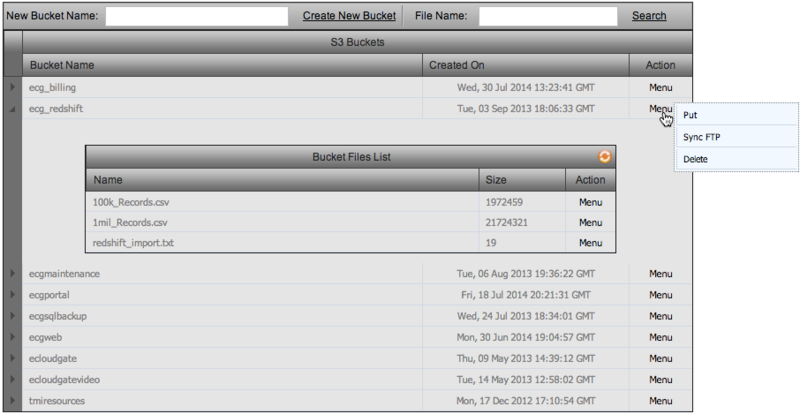 What if you can’t remember to which S3 Bucket you uploaded your file or you cannot find your file completely? We provide an option for searching files across all Buckets. Searching specific files is easier with our upgraded file search system. Our S3 Bucket section has more updated and innovative features that are perfect for everyone.